According to the National Institutes of Health (NIH), aneurysmal subarachnoid hemorrhage (SAH) has turned into a glaring health burden across the world and possesses high rates of permanent disabilities and fatalities. It has been estimated by the NIH that approximately 9 out of 100,000 people across the world suffer from some variation of aneurysmal subarachnoid hemorrhage, a number which is more concerning in the U.S. wherein 30,000 people are diagnosed for SAH each year. Among these cases, raptured cerebral aneurysms accounts for nearly 80% of the non-traumatic aneurysmal subarachnoid hemorrhage. Going forward, these numbers are expected to mount even further, and thereby prove to be boon for the players in the global market for aneurysmal subarachnoid hemorrhage. Smoking, hypertension, history of intracranial aneurysms in immediate relatives, chronic alcohol use are some of the common causes of aneurysmal subarachnoid hemorrhage, while the symptoms include headache, facial or orbital pain, unilateral third nerve palsy, bilateral lower extremity weakness, and vision loss. With no absolute therapy available and severity of the implications, early detection of SAH is of utmost importance and hence, there are vast opportunities available for the players venturing in the aneurysmal subarachnoid hemorrhage market. In addition to that, the NIH study reveals that aneurysmal subarachnoid hemorrhage is more prevalent in developed region of North America including the U.S. in comparison to Japan and China in Asia Pacific. With the presence of several key players in the healthcare sector in North America, the research and development pertaining to aneurysmal subarachnoid hemorrhage is expected to drive the global aneurysmal subarachnoid hemorrhage market for the same. Aneurysmal subarachnoid hemorrhage is a type of stroke and accounts for almost 7% of all strokes. It is listed under medical emergency conditions and can cause severe disability or can be fatal as well. Subarachnoid hemorrhage is sudden bleeding into the subarachnoid space of the central nervous system that may occur due to head injury, rupture of cerebral aneurysm, and aneurysm in other blood vessels. The most significant cause of aneurysmal subarachnoid hemorrhage is trauma. Some other causes of this condition are migraine, intra-cerebral hemorrhage, meningitis, and cerebral venous sinus thrombosis. In addition, lifestyle factors, smoking, genetics, hypertension, and excessive alcohol consumption are also significant factors for subarachnoid hemorrhage. 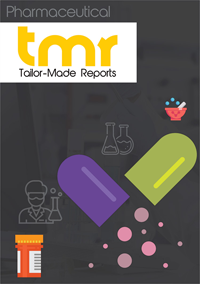 The report is an all-important tool to understand the progression of the global aneurysmal subarachnoid hemorrhage market between 2017 and 2025. In this report, the various market forces and growth indicators are analyzed at length to present a clear picture of strengths, weakness, threats, and opportunities of the market until the end of the forecast period in 2025. The global aneurysmal subarachnoid hemorrhage market is segmented on the basis of diagnostic test, therapy, and geography. By diagnostic test, CT scan and MRI are the components of this market. Lumber puncture is mandatory in cases where imaging shows indefinite results. Xanthochromia is another diagnostic test that helps in the detection of aneurysmal subarachnoid hemorrhage. Cerebral angiography and transcranial Doppler ultrasound are also used for detecting aneurysmal subarachnoid hemorrhage. The regional segments of the global aneurysm subarachnoid hemorrhage market are North America, Asia Pacific, Europe, and Rest of the World. As per an article published by Elsevier in 2014, countries such as Japan and Finland have high incidence rates of aneurysmal subarachnoid hemorrhage. In May 2013, Arbor Pharmaceuticals received FDA approval for Nymalize containing nimodipine for patients with subarachnoid hemorrhage. Currently, Arbor Pharmaceuticals possess the commercial rights of Nymalize solely in the US. The primary treatment for aneurysmal subarachnoid hemorrhage involves stabilizing the patient by repairing the cause of bleeding with the help of vasospasms such as calcium channel blockers such as nimodipine. Anti-anxiety medications and pain killers, when administered, helps relieve headaches and pressure in the skull. Phenyton is used to treat or prevent the occurrence of seizures. The treatment also focuses on alleviating symptoms and preventing complications such as permanent brain damage. Surgery is advised in cases where removal of large volume of blood is required to alleviate pressure on the brain. Aneurysm clipping, endovascular coiling, and craniotomy are some of the surgical procedures carried out for aneurysmal subarachnoid hemorrhage. Endovascular coiling involves placing coils in the aneurysm and stents in the blood vessel in order to lessen risk of further bleeding. Some of the leading companies in the global aneurysmal subarachnoid market are Arbor Pharmaceuticals, Edge Therapeutics Inc., and Actelion Ltd. Key institutions that contribute to the global aneurysmal subarachnoid hemorrhage market are Chinese University of Hong Kong, Utrecht University, University of Miami, University of Cambridge, and the University of Calgary among others.